Well, it happened folks, fall has arrived! 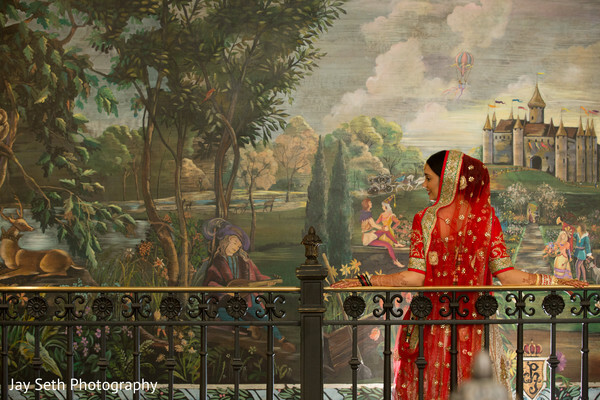 As the leaves change color and the tingling of the cold weather appears upon us, it would only be fair to share a Summer Indian wedding out of New York. 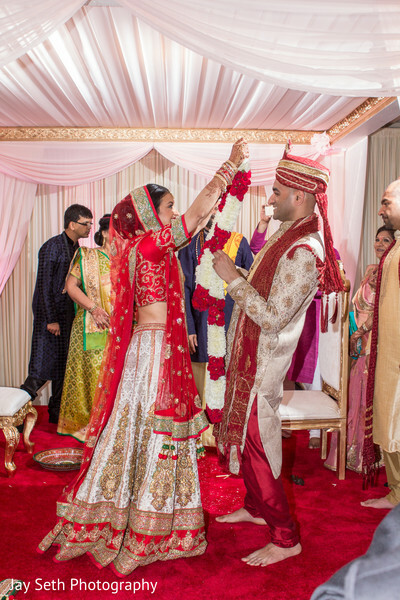 Maharani Nirali wed her beau at Woodbury Country Club, a magnificent eighteen acre estate that has enchanted weddings for generations. 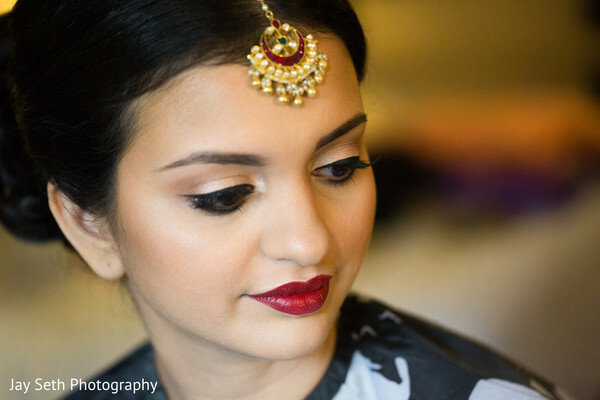 Embellished by the hands of Zara Henna for her mehndi and Heena Das Beauty who came with all the right makeup tools, our Maharani was a stunner. 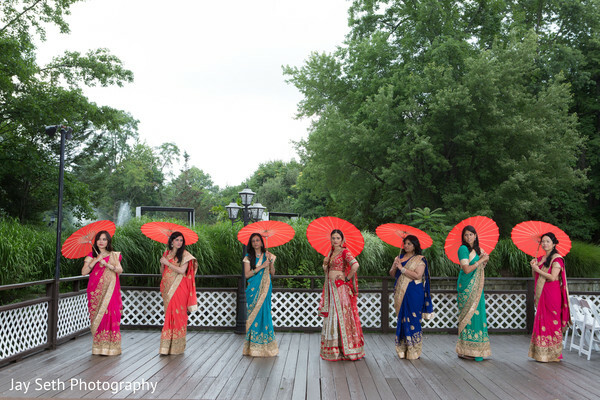 A venue as sprawling and elegant as Woodbury certainly needed a great planner and decorator. 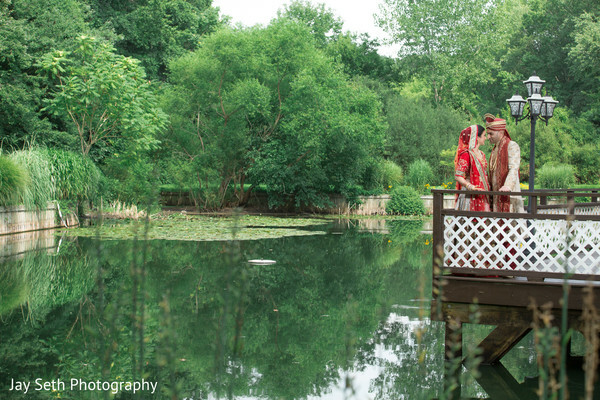 Enter, Aura Events and Entertainment who made sure the wedding ceremony and planning went smoothly and Elegant Affairs, who celebrated yet another venue embellishing victory. The baraat arrived in style on Cinderella, a beautiful Percheron horse, from Ponies Will Travel. All the action was filmed by Swat Films. 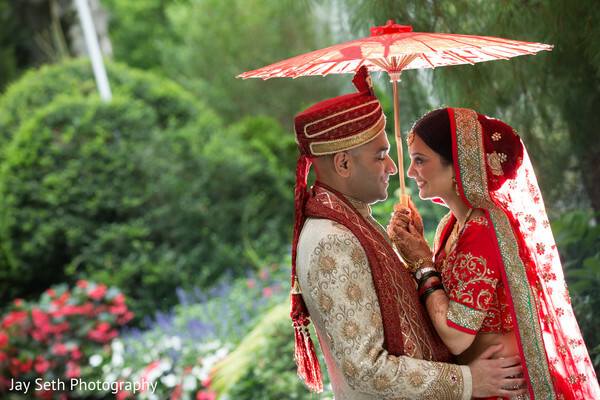 Check out all the images from Amit Shah of Jay Seth Photography in the gallery! 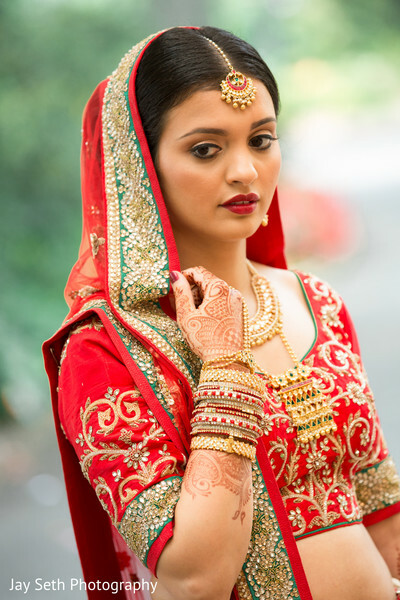 Return back for all the wedding reception details as well as a royal and blue gold lengha that is to die for!